Good Shepherd Academy believes in the importance of teaching our children about stewardship. It is this group's mission to be a vehicle for our children to embark on a stewardship way of life by opening their hearts and responding to the needs of the community by giving their time and talent. In addition to regular meetings, our acts of kindness will involve us participating in various activities. As represtantives of our school and community, responsible and respectful behavior is expected of the students at all activities as well as active participation in our efforts to ensure tha this is a learning, giving experience for those involved. We collected mittens, hats, scarves and gloves to benefit families in need. Our Junior Stewards donated plants for the garden boxes outside the convent. They cleaned and spruced up the garden boxes. We thank Mr. Karl Halpin for his leadership in this project and all the stewards for their time and talent. 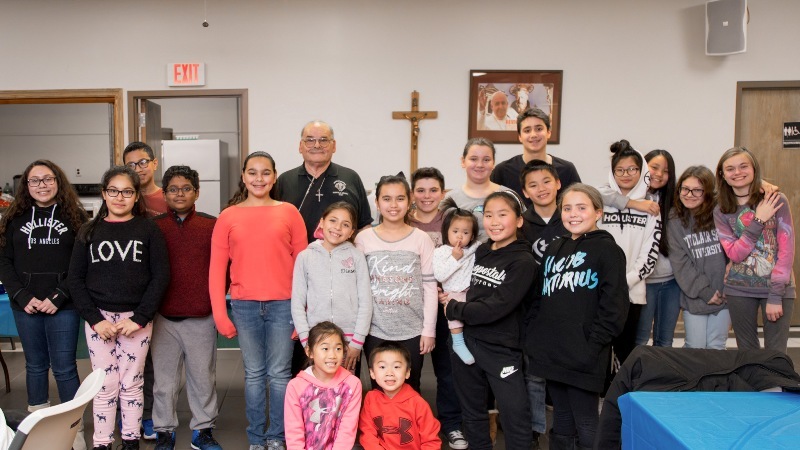 Our Junior Stewards gathered on Friday, Oct. 27 with Msgr. Paul Bochicchio as the guest speaker. He spoke to the kids about embarking on a Stewardship way of life by opening their hearts and responding to the needs of the community. It's a great and enlightening experience for our young Stewards. Our Junior Stewards donated tons of items to help the animals at the Bloomfield Animal Shelter. The donation was made as part of the month-long drive. They collected food, treats, toys and other supplies. All donations were delivered by the students last Friday, December 2 nd . 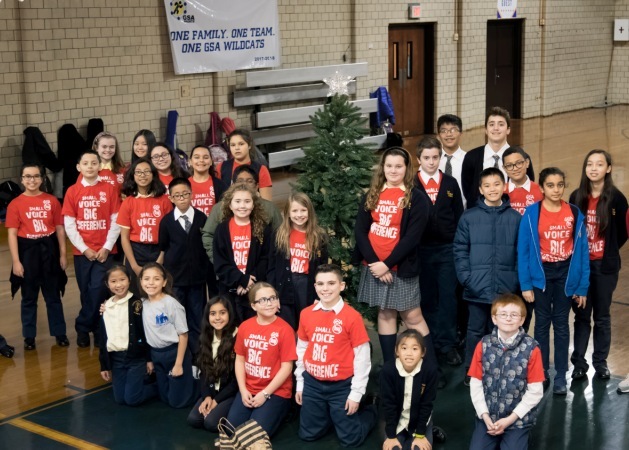 Our Junior Stewards have once again participated in the RAKES program (Random Acts of Kindness Extended to Seniors), which is an initiative organized by the Department of Public Works in Nutley. It provides an alternative to seniors and those who are unable to rake their leaves. The stewards visited 3 houses on the day after Thanksgiving, brought their rakes and helped clean the yards. They were visited by Nutley Mayor Scarpelli on one of the houses. Participants this year are: Erin, Ryan and Jacob Miskell, Lucas, Logan and Leah Lorent, Stella Marie Halpin, Dominic Cippilone, Nick Houck, Miranda Nunez, Elisa and Eric Castillo, Jasmine and Jeremy Mata, James Feliciano, and their parents. Now through December 1 st , the Junior Stewards will be collecting items in need for the many dogs and cats staying at the shelter. Please consider donating an item from the list below and bring it to GSA. Our Junior Stewards donated plants and decorations for the garden boxes outside the convent. They met after mass, cleaned and spruced up the garden boxes. We thank Ms. Laura Lorent for her leadership and all the stewards for their time and talent. Our Mitten Tree was a success! We collected: 20 pairs of socks, 20 mitten & hat sets, 12 scarves, 68 hats, and 135 pairs of gloves. They were dropped off at the Montclair Human Needs Pantry. This organization collects food and clothing for families in need and were very appreciative of our assistance. Thank you for all your support and to the junior stewards that came to help count the items!